What Was The Best Gift You Received This Christmas? Today is a great day to share what we got for Christmas! While I do not consider myself materialistic (I love handwritten letters & cards above everything else!) -- I am fascinated by innovative products and cool inventions that make life easier. I must say that my husband, Robert, is one of the best gift-givers I know. He knows how to surprise me and picks gifts that say "I know you well and I know the way to your heart." Therefore, I am truly blessed and I don't take that for granted. This Christmas my dear husband gave me three, very clever gifts that I feel are worth sharing because you might get some new gift ideas -- for a friend or for yourself! Have you ever walked out of your home with fabulous high heels and end up regretting it after a couple of hours because your feet hurt so badly? 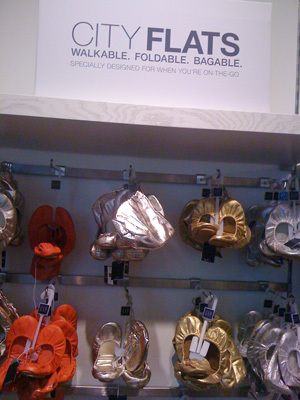 Does an extra pair of flats sound like a good idea but it is always way too bulky to carry with you around? The City Flat by GAP is an amazing solution to this problem! These flats are made of soft, pliable leather and has an elasticized opening, so it fits like a glove and is ridiculously comfortable. The best part about it? It is foldable and it comes with a small drawstring bag! Robert got me the black one (which is the best color to start with because it matches practically everything I own) but it is available is many, many colors and textures! Big bonus: these are the perfect pair to wear through airports! I am a sentimental person. Therefore, it is no surprise that I have always wanted to build a charm bracelet to signify important milestones of my life. However, I always dismissed this task and mentally put it on my "someday" to-do list. I was so pleasantly surprised when Robert gave a Pandora starter bracelet with its first charm! The first charm is a cross -- which is symbolic of our move to Nashville next week (more on that in a future blog post). 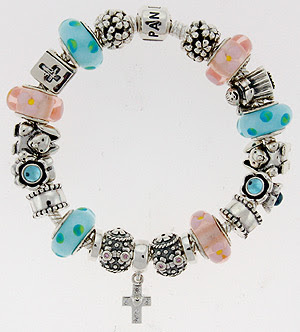 I am excited to add more charms to this bracelet as we experience more milestones and breakthroughs in the future! 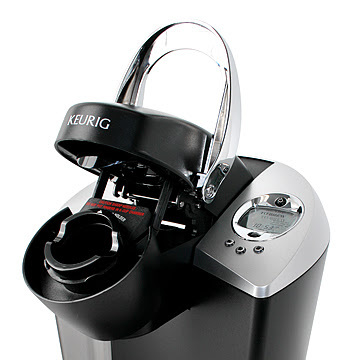 The Special Edition Brewing System brews a perfect cup of coffee, tea, hot cocoa or iced beverage in under one minute at the touch of a button. Featuring chrome accents and a blue, backlit LCD display, the Special Edition brewer allows you to program water temperature, set the digital clock and Auto On/Off. With the choice of three cup sizes, the Special Edition brewer offers a removable drip tray to accommodate travel mugs. 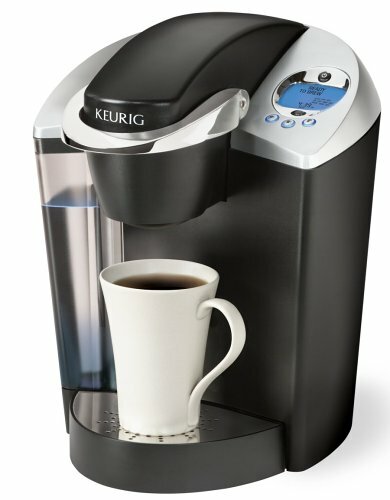 I love the concept of a one-cup brewing system -- because it ensures coffee is always fresh, never stale! 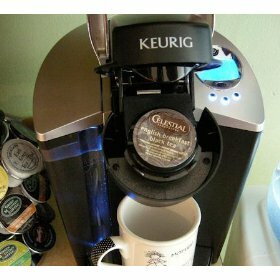 The tiny, portion-controlled K-Cups allows the user to try different varieties of drinks -- something most of us cannot do when we purchase bags of ground coffee beans (we are kinds stuck with that kind for the allotted period of time). I look forward to using this on my daily work-from-home routine. 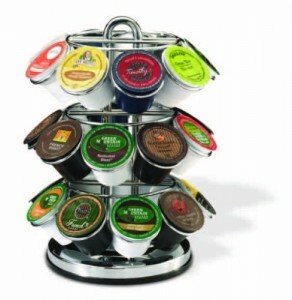 The cost per cup is about 50 cents -- far cheaper than the $4 cups we buy from coffee shops. Any clever gifts that you gave or received this Christmas? You are one spoiled wife. ;-) I like it!! Thank you Irma! I must say, I like it too -- haha! Ember, that is a GREAT gift idea!!! Thank you for sharing that. I have now a year of taking good pictures with people I love and make them as presents. I LOVE IT! Great gifts! I LOVE my city flats - your'e so right, they are true comfort! BUT, I have to tell you, they are NOT durable!! Please! If you love them, don't wear them often outside! My sweet red ones are torn pretty bad from fairly light, but regular, wear. I read reviews to that effect online but didn't want to listen - but alas, it happened to me, too!